As sad as I am to see Summer go, when it comes to food and cooking, Fall may be my favourite season. You see, now is the time when when we start to think about soups, stews. Slow cooking, long braising. Pumpkins, squashes and gourds. Apples and pie. 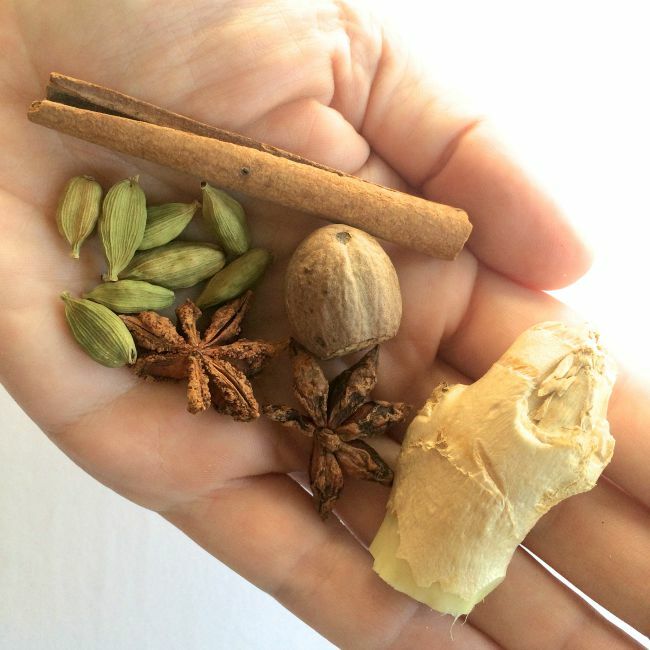 And warming spices, like cinnamon, nutmeg, cloves, cardamom, and star anise. These are all things that I love, that bring me comfort, make me feel loved. They are the food equivalent of my favourite hoodie, or a pair of fuzzy slippers. I had a few green tomatoes left after my Fried Green Tomato experiment, so I started to wonder what I’d do with them. Turns out, they have tons more applications. 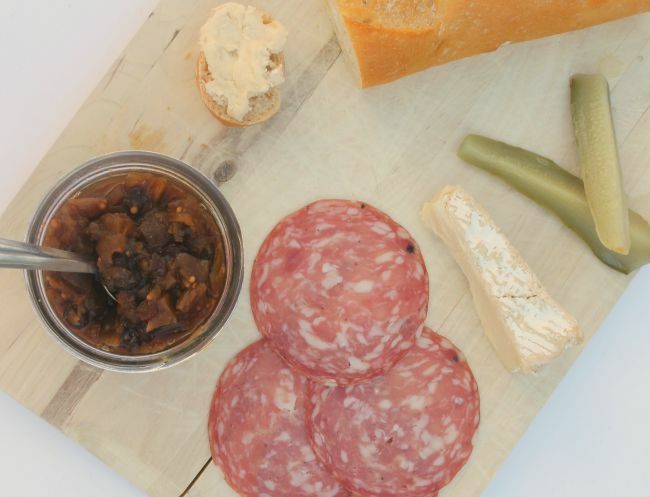 Pickles, soup, jam and pie are all possibilities. But then I hit upon a chutney recipe, and I was sold. 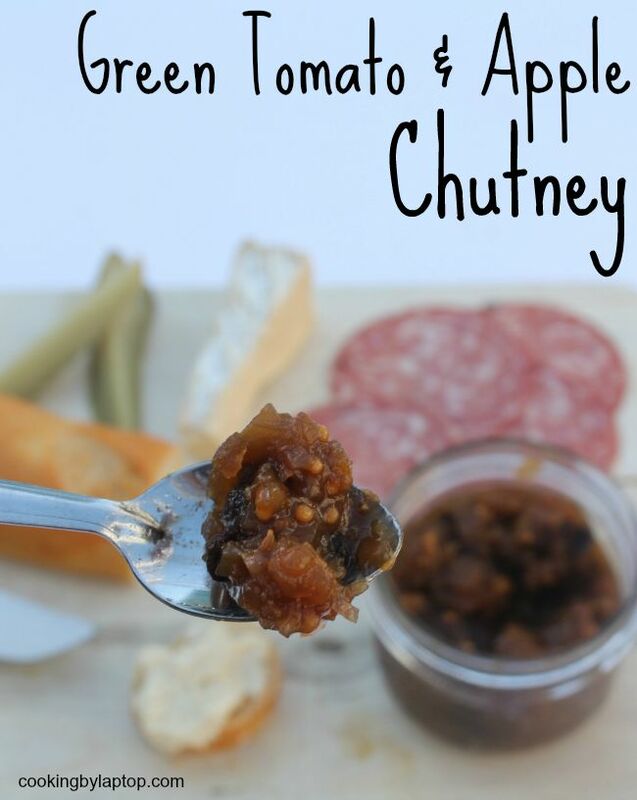 If you’ve not made chutney before, it’s simply a kind of savory jam that’s often served as a condiment with meat or cheese. The recipe includes some kind of vinegar, and some kind of sugar, so it creates that piquant sour/sweet push/pull on your tongue. They are usually chunkier than jams, too, so they often have some nice texture to them. The other nice thing about a recipe like this is how adaptable it is. You don’t have to worry about being too precise with your measuring. My kinda recipe! I served mine on a slice of baguette, topped with brie and a dollop of the chutney. It would also be amazing with pork–I’m looking forward to that pairing next. Place the tomatoes, apples, garlic, vinegar, sugar, raisins, and mustard seeds all in a large pot and bring to a boil. Wrap the spices in a cheesecloth and tie well, or place them in a tea ball. Drop the spices into the chutney, and reduce the heat to a simmer. Allow the chutney to cook slowly down until it is the thickness of jam, stirring occasionally. Remove from the heat. Remove the spices. Allow to cool, and store in the refrigerator, or you can can according to these directions.